Sometimes you just need to print out a calendar quickly and easily without having to think about it. For these situations, Ape Apps has the perfect solution for your: EZ Calendar Maker! EZ Calendar Maker is a free and easy to use application for Android, iPhone, Windows, Mac, Linux, and the Web that is built for one straightforward purpose: printing out a calendar. For basic usage, all you have to do is fire up the application and hit print. You can have a paper calendar in your hands within seconds, no fussing with word processing or other bloated software packages. If you want to get fancy, EZ Calendar Maker has some customization options, such as adding a nice background image to your calendar. But the whole thing is designed to be quick and easy to use, which it is. 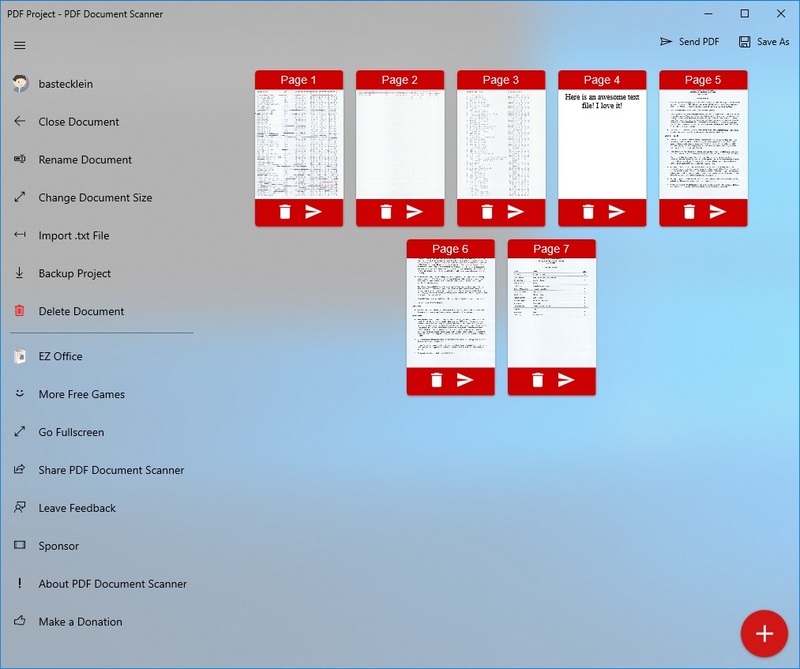 PDF Document Scanner for Windows 10 (the Windows Store edition of the app) has just been updated to v4.16.0, an update which brings a huge change to the app on the platform. Before now, PDF Document Scanner on Windows 10 was just a Hosted Web App wrapping the Ape Web Apps version of the app and allowing a few native features, such as physical scanner access. It mostly worked pretty good, but it did not mesh good with the operating system or look and feel like a native application. With this update, PDF Document Scanner is now its own full native application on Windows 10, which brings with it performance improvements, visual improvements, and (critically) the ability to work without an internet connection! For several months, the Ape Apps Launcher for Windows has contained a setting called RAW/Text printing, which I have never bothered to explain to anybody. Today I have put together a video demonstration about what it is and how it works. Basically, the RAW/Text printer option of the Ape Apps Launcher allows you to print to old (or new) impact or dot matrix type printers. It should also work for point of sale or receipt printers as well. Using the additional Resource Sharing option on the launcher, you can also print to these printers over WiFi using an Android or iOS device. It's just another neat little feature available in the launcher. Check out the above video for a full demonstration. Anyway, as I mentioned, I'm not very familiar with Patreon yet, but if you have questions I will try to help as best I can! And thanks to all who support Ape Apps!